This weekend was a good one, and I was definitely feeling the "Sunday scaries" yesterday. But recapping always helps! But before I get into the recap, I have to mention something that I can't get out of my head. I've been following April's blog for years now, as I'm sure many of you have, and I can't get the devastating news she shared about her second child, Charlotte, on Friday out of my head. If you feel so inclined to help out their family in any way, Christina shared a great post listing the possible outlets. I just can't get over what their family must be going through, and I can't imagine dealing with this news while having two other children to parent (one being an infant no less). I've been thinking and praying for them every day. It certainly makes something like the "Sunday Scaries" seem extraordinarily insignificant. I was off on Friday and sleeping in was glorious. Well, it would have been glorious if I had actually done it ;) but laying in bed for hours because I didn't have anywhere to go was glorious. I finished an entire book before getting up for the day. Sammy and I hung out before he had to go to work, I watched some Hallmark movies ;), and then headed over to TJ Maxx to try and find some decor items. I ended up snagging several faux plants (which I swore I would never get until I realized I can't keep indoor plants alive), a CRAZY comfortable navy throw for our couch, candles, some picture frames, the most perfect white beachy button down, lacy undies, and my new favorite bralette that is SO good I'll have to post about it on Friday for my "favorites" post. 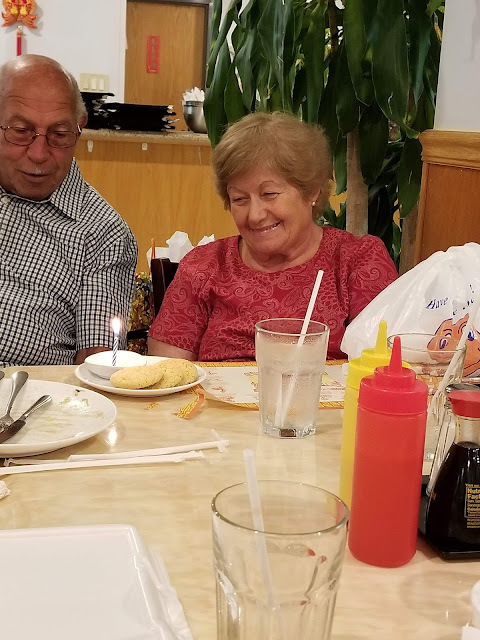 Later that night, my sister met me at my house and we joined my family for Chinese food to celebrate my grandma's birthday. I made a late-night grocery run (God bless Jewel being open 24/7) to get supplies for our housewarming party we threw the next day with our friends. And then Sammy asked 90 questions about what I purchased. And then we fell asleep. 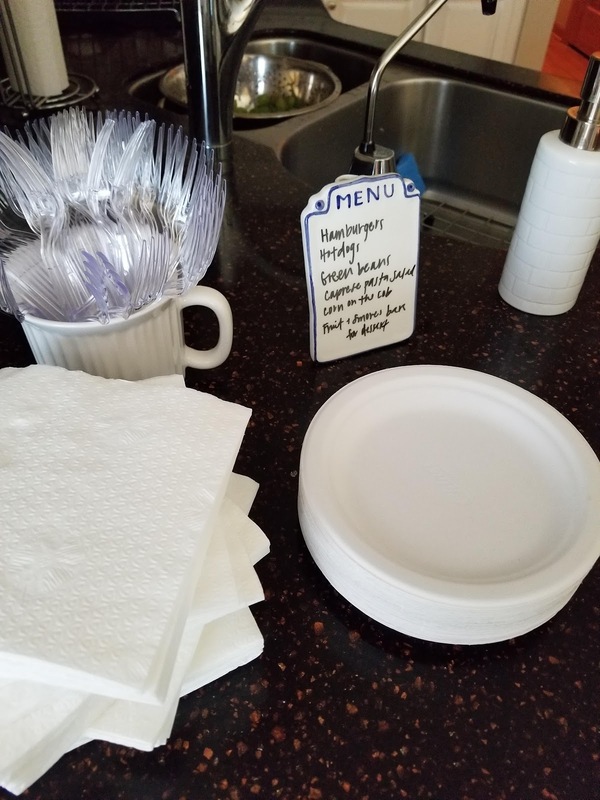 We got up relatively early on Saturday morning so we could freak out about what needed to be done in the house before the party ;) we actually keep the house really clean during the week, so we didn't need to do much, but we're both nuts so it seemed like a lot. We deep cleaned and organized every room, well Sammy did a lot of this while I started to cook. I chose dishes I could make ahead of time or early that morning and be kept at room temperature in an attempt to keep things easy. I made S'mores bars for dessert which was the most time consuming thing I had to make and even that wasn't bad (just messy!). I loved making these cheese boards but damn are they expensive to make! Will never understand why cheese and nuts are so expensive. But I have a lot of these items left over, so I'll be snacking on them throughout the week. 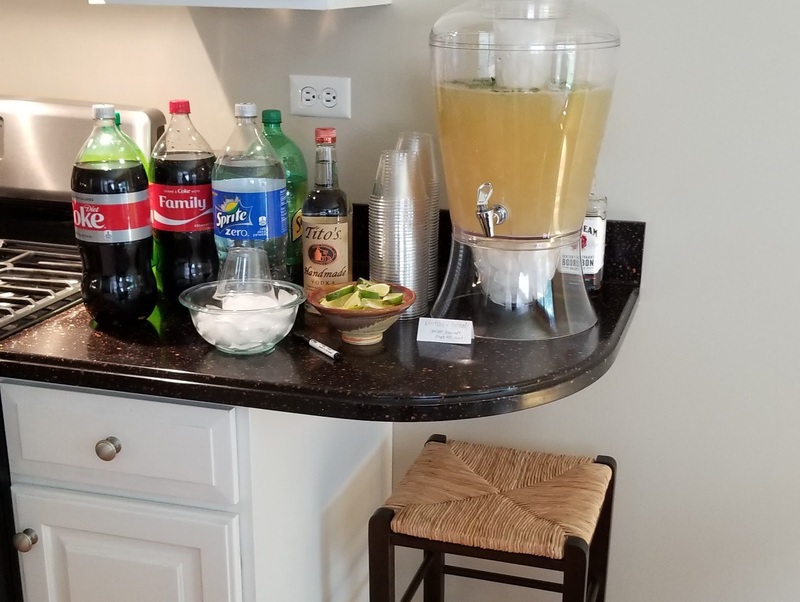 We had a bunch of soda (and various hard alcohols for spiking), wine, and beer, and I made a big batch of Kentucky Lemonade (lemonade, ginger ale, bourbon, and mint leaves) which was a huge hit. 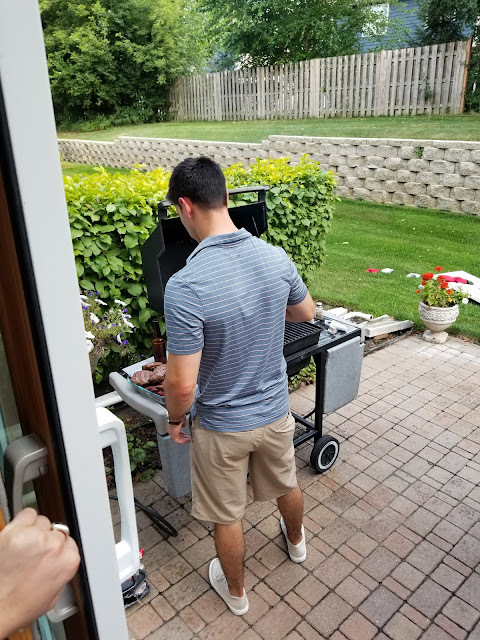 This guy in his prime finally getting to use his grill. 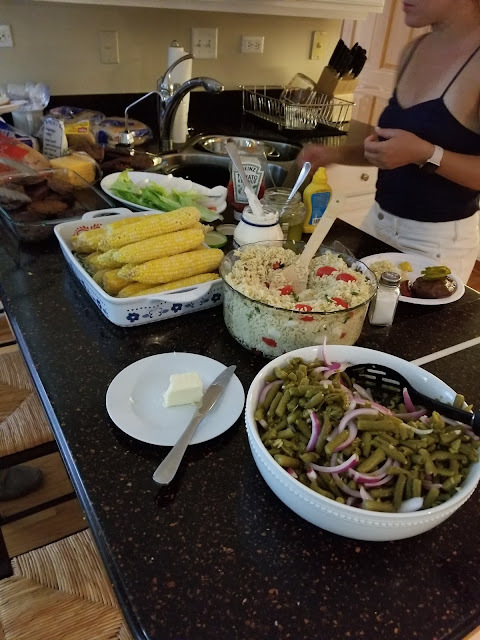 We served hamburgers and hotdogs (and meatless! and gluten-free! ;) ), caprese orzo salad that all my friends go nuts for, corn on the cob, and green bean salad. We did S'mores bars for dessert along with some fruit and a cookie cake our friends brought for us. 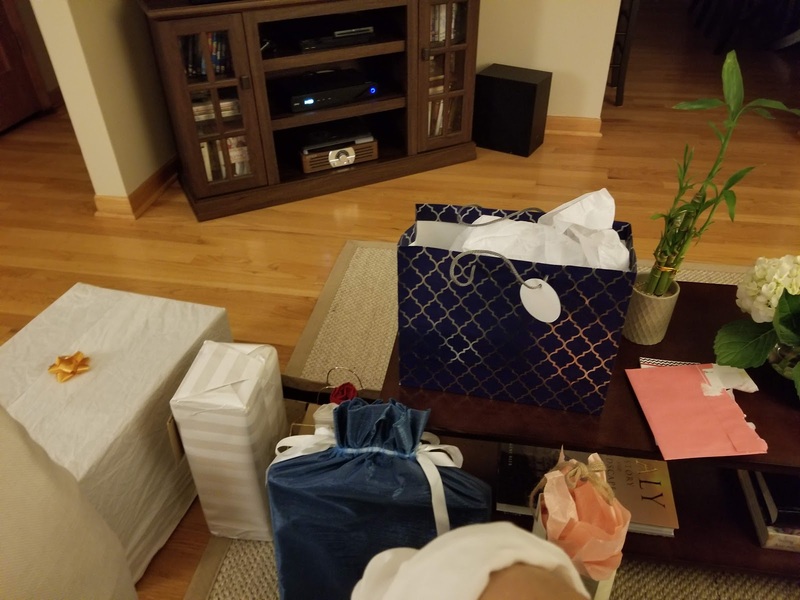 We have extremely thoughtful and generous friends, so much in fact that I'm going to do a post about the gifts we got because I thought they were such great ideas and I always love hearing gift ideas. It really was the loveliest day. I wanted everything to be easy and seemingly effortless, so we did everything we could beforehand which allowed us optimal time to be with our friends. 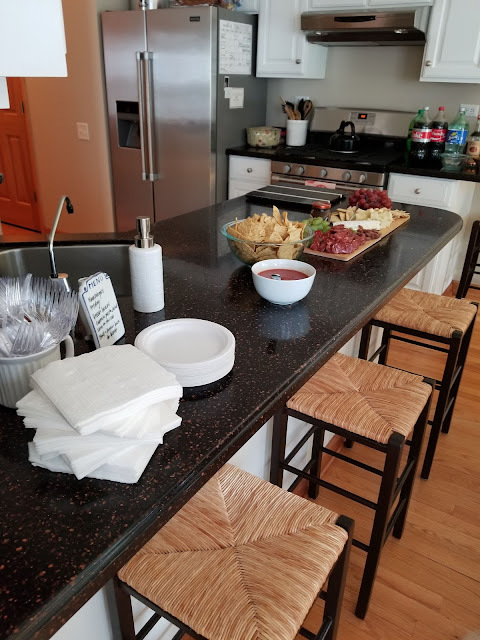 It was so nice to have everyone over in our home. 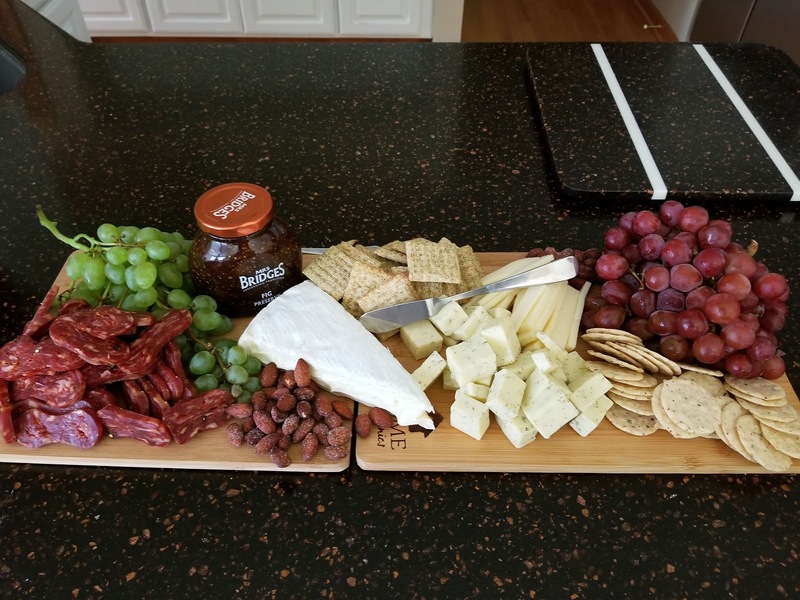 I've said it before but hosting is my favorite thing in the world. One of my girlfriends paid me the nicest compliment of my entire life when she said how effortless I looked while doing everything. Obviously that's a lie, but it's literally something I have wanted someone to say to me for my entire life haha so I was clearly thrilled ;) I thought we were going to feel like our parents were going to come home at any minute, like our house wasn't really ours and someone was going to say "okay, enough playing house," but it couldn't have felt more natural to be in our space with our friends over. So grateful to everyone who came from far away suburbs and all the way downtown. We plan on having a housewarming with our family sometime in September and then having our friends over again (we were missing some favorites) when Henry is here! We got pretty bad news about Sammy's grandpa's health on Friday (I even asked Sammy if he wanted to cancel our housewarming on Saturday), so we spent the morning with him on Sunday before Sammy's shift. He's going to be at their house all day today since he's off, and I'll be going after work. We're trying to soak up as much time with him as we can. After we came home and Sammy went to work, I got to work using up the leftover beef we had from our party. 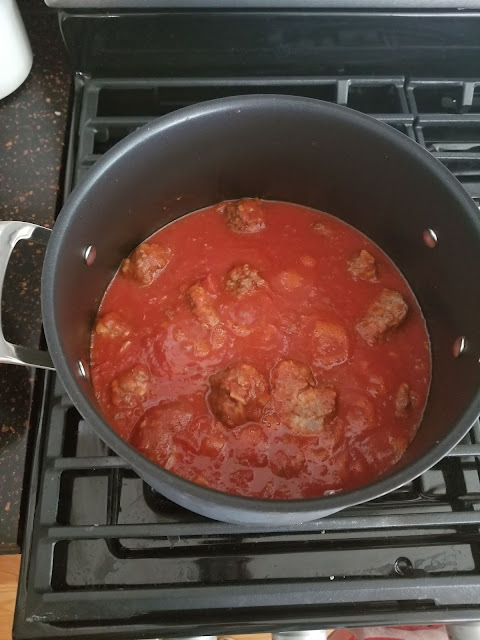 I made a meatloaf in the crock pot and some gravy with meatballs for Sunday dinner. 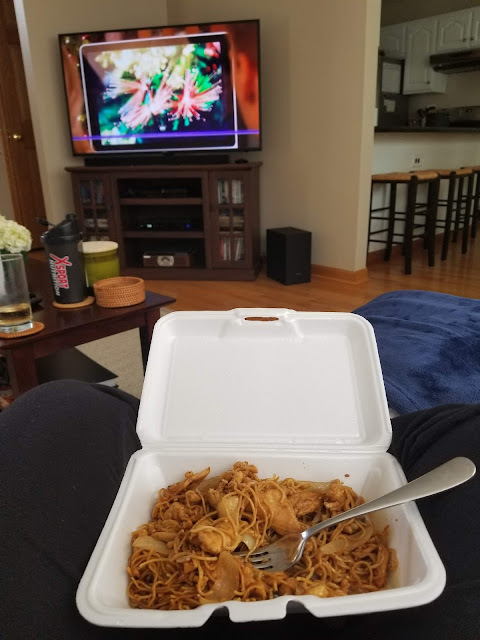 While all that was slow cooking, I ate Chinese leftovers (among many other things...not a good eating day, I can tell ya that) and watching Hallmark Christmas movies. My favorite kind of afternoon. Sammy and his coworker (and our now great friend) came home for dinner. I always love when Sammy brings his coworkers home with him. I spent over an hour on the phone with my parents before getting into bed at 8 p.m. to finish even more, if you can believe it, Hallmark movies. It was a weekend filled with some devastating news, but also some really lovely moments. And isn't that so reflective of life as a whole? Thank you so much for sharing the post regarding helping April's sweet family. I was so terribly devastated to read the news and, as a mama, my heart aches for her. I'll definitely try to contribute in my small way. Unrelated, that's a gorgeous cheese board! I always stock up on cheeses at Trader Joe's because they just have the best selection! I can't get their family out of my head. Absolutely heartbreaking. I'm trying to help as well.